Cthulhu in the House will debut at gencon on the CMON booth. CoolMiniOrNot has partnered with Spaghetti Western Games and Flatlined Games to release the board game Cthulhu in the House. The game will premiere at Gen Con with a trade release to follow in Q3. With now over 70.000 copies sold in 5 years, the Rumble in the house series (Rumble in the House, Rumble in the Dungeon, and now Chtulhu in the House) is Flatlined game's besteller. The partnership with CMON for exclusive english language distribution of the Rumble in the House series will no doubt boost the audience of the games, and continue to reach new gamers. 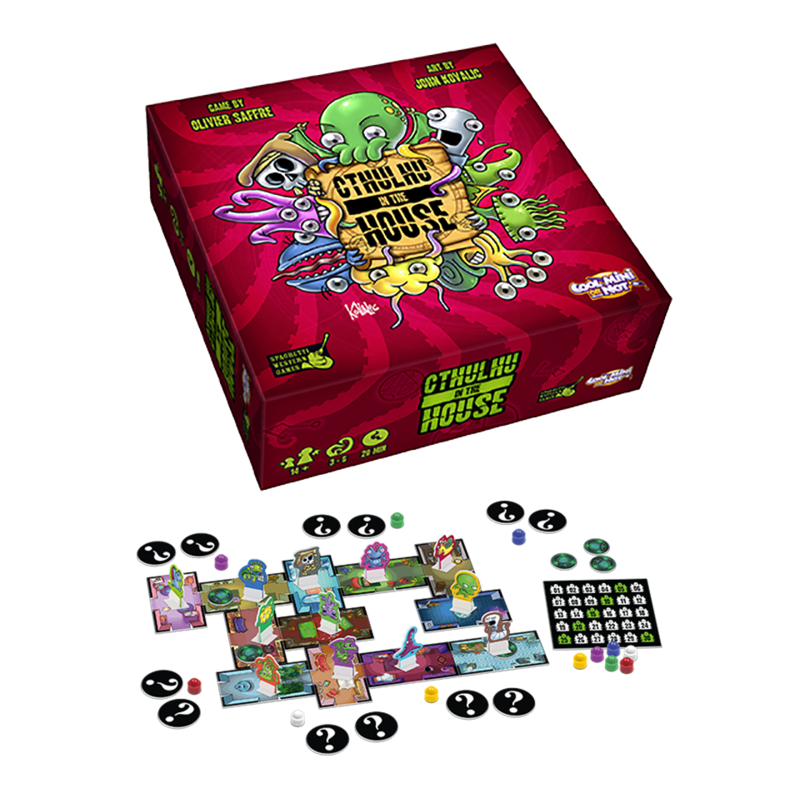 The Cthulhu in the House game is similar to Rumble in the Dungeon and Rumble in the House but with new gameplay mechanics. In the game, players compete in a royal rumble to see which Old One has the staying power to outlast the other opponents. Players hide their identities and compete over three rounds to determine who is the toughest. Throughout the game, player can either move a character in the house or start a fight between two characters in the same room. The game includes portals, which allow player to teleport around the board and change outcomes of fights. Cthulhu in the House can be combined with Rumble in the House and Rumble in the Dungeon to seat more players, for an epic all-out Rumble!